strings.lines came to life from an obsession for old and forgotten object-matter and the desire to produce music that exists in between the new and the old. The starting point to the composition of this work were acoustic tuning forks. In 2007 Nicolas Bernier became fascinated with this object/instrument of particularly beautiful design, and started a collection of all the different kinds of tuning forks he could find. Some of these reached 21Hz, near the lower-limit of human hearing, some others produced extremely high frequencies, all of them became tools and instruments for improvisation through electroacoustic transformation, in a process of discovery. These improvisations were at the heart of a composition stage that was developed for almost two years. At the heart of the project was a state of mind leaning towards the restraints imposed by the tuning forks. The “lines” in the title originates from here: from the constant pitches imposed by the tuning forks. They produce sounds that are perceptively close to sine waves, graphically represented by lines or sinusoids, the elementary sounds of electronic music and obviously the perfect musical object to draw a music around the boundary of electronic and instrumental music. The tuning fork is also a symbol of centuries of occidental music making that culminate with western tonal music, and the preservation of that symbolism was an important part of the second stage of the composition process, involving two string players, Pierre-Yves Martel on viola da gamba and Chris Bartos on violin. During the recording sessions, the instrumentalists were requested to play close to a single pitch, exploring the wood, the attacks and the resonant qualities of their instruments, while following some of the motives that had already been composed with the forks. The pieces presented in this edition are studio compositions of layers from the two stages of the work, blending both worlds while trying to keep a sense of the original materiality and timbres, but not refraining from using other sounds and sources whenever necessary. Nicolas Bernier creates sound performances, installations, musique concrète, live electronics, post-rock, noise improv, video art while also working with dance, theatre, moving images and interdisciplinary contexts. In the midst of this eclecticism, his artistic concerns remain constant: the balance between the cerebral and the sensual, and between organic sound sources and digital processing. 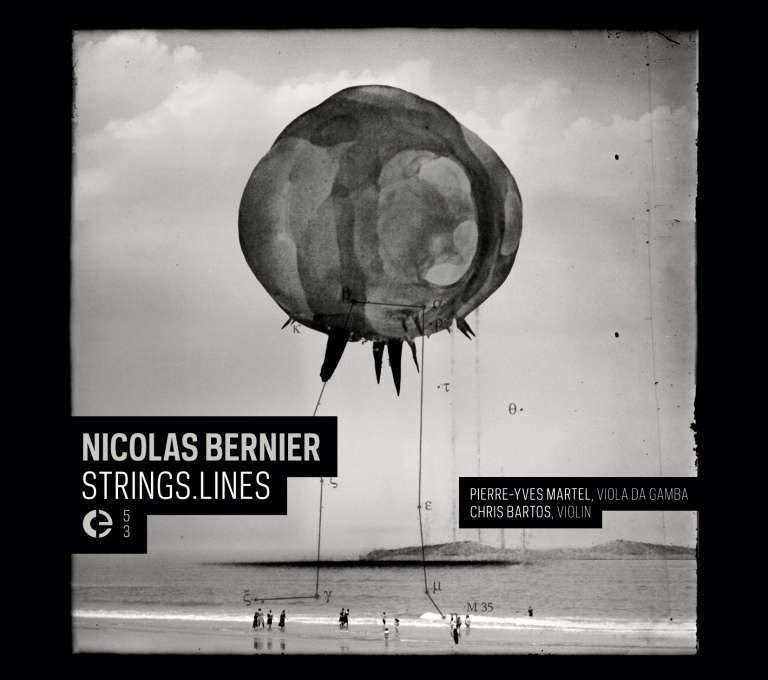 The sound of Nicolas Bernier is somewhere between the old and the new. It is electronic music made from objects of the past: typewriter, old machines, tuning forks, soundscape memories and, yes, musical instruments. It is made with a modern apparatus but feels like completely handmade. It is gently articulated textures alongside enormous masses. His works have been of interest for Prix Ars Electronica (Austria), SONAR (Spain), Mutek (Canada), DotMov Festival (Japan) and Transmediale (Germany) and have been published on lovely labels like Crónica (Portugal), Ahornfelder (Germany), leerraum (Switzerland) and Home Normal (UK). He his currently undertaking a PhD in sonic arts at the University of Huddersfield (UK) under the supervision of Dr. Pierre Alexandre Tremblay and Dr. Monty Adkins. He his a member of Perte de signal, a media arts research and development centre based in Montreal.